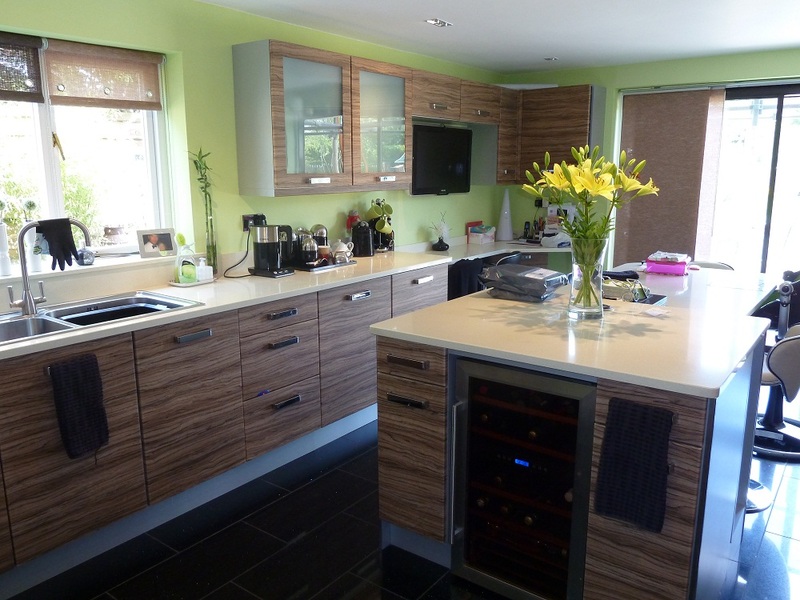 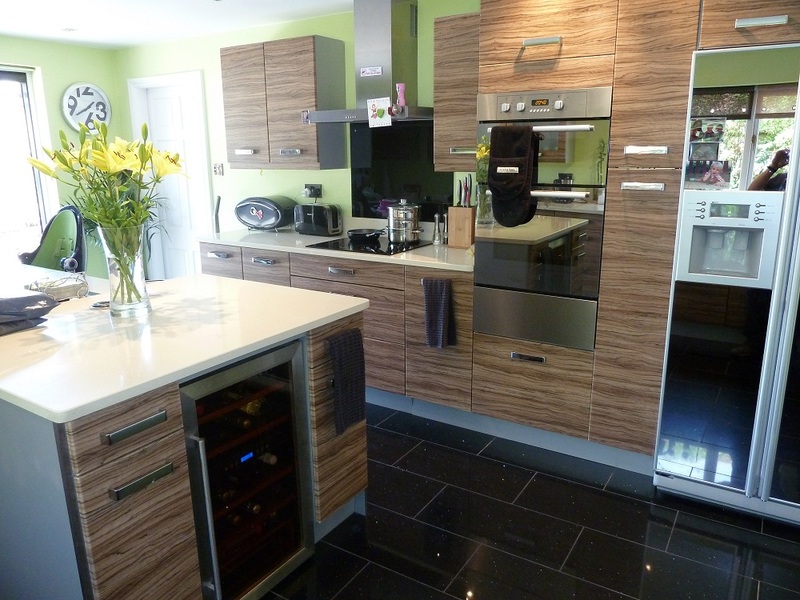 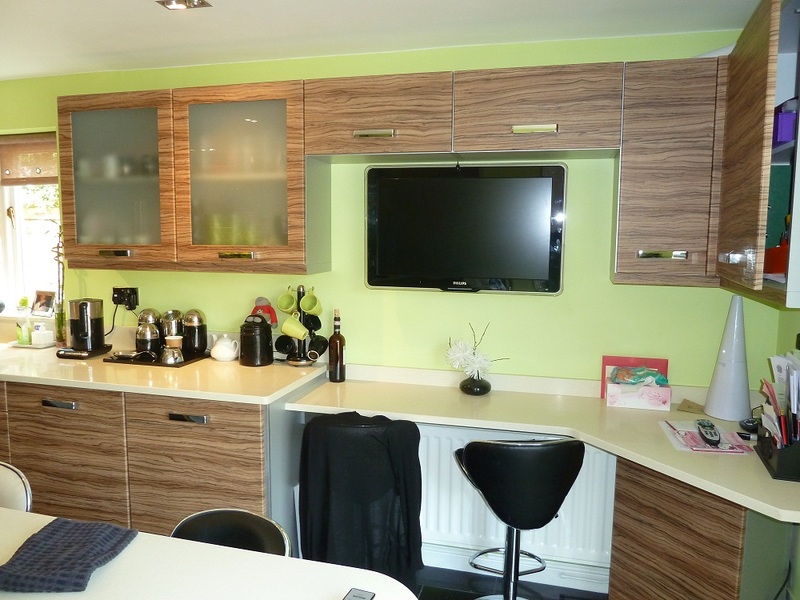 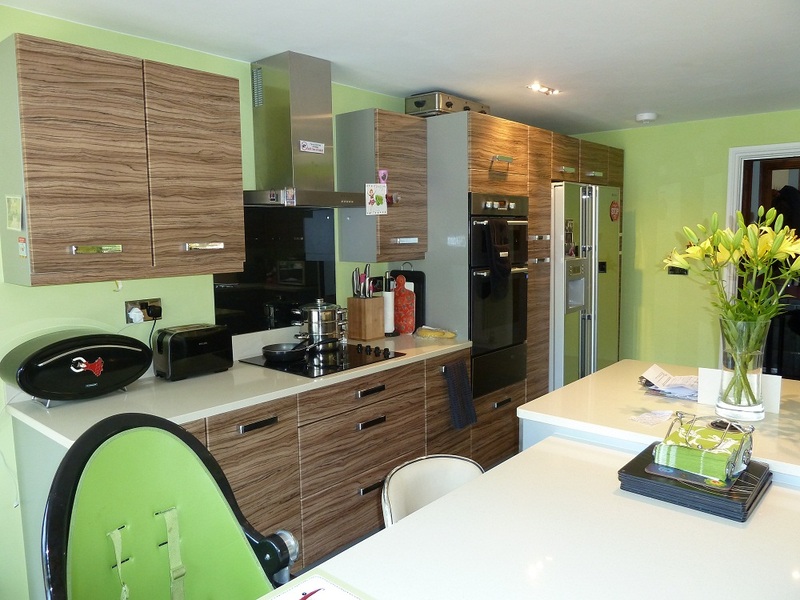 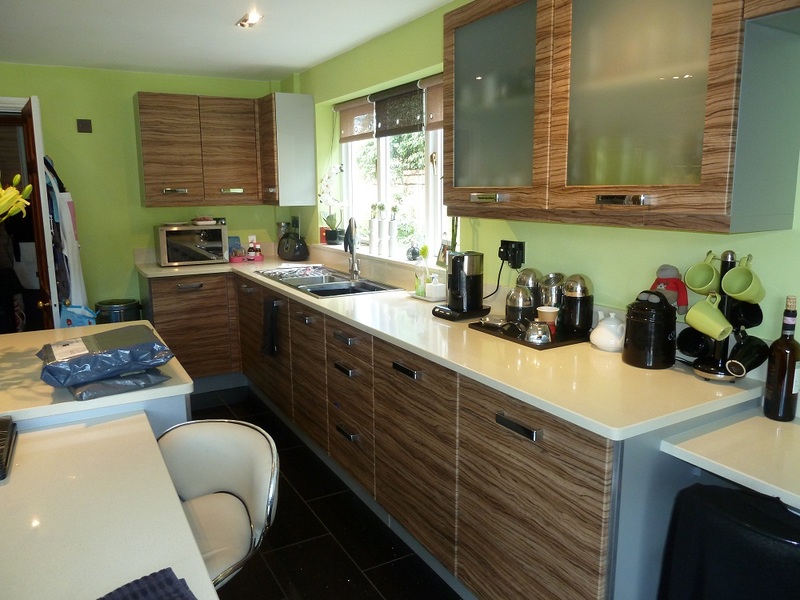 Darren & Clare were looking for a very modern kitchen, but not the usual white or cream gloss, so I showed them a couple of more unusual samples and they loved this “zebra” range. 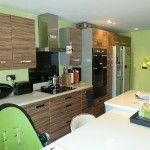 I then complemented the doors with a cream man made granite and bold lime walls. 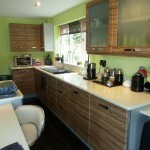 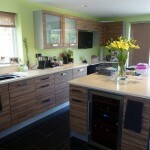 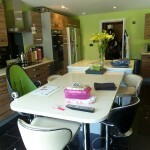 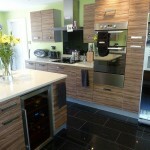 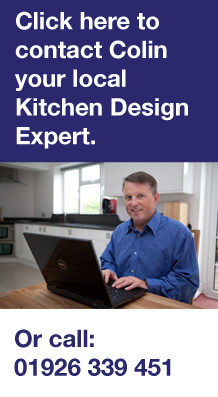 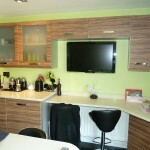 The design also encompasses a practical work area for Darrens laptop, plus the kids can watch Tv whilst eating breakfast.